- Production: 1714 Cylinders per Day Production of 7 M3 Each Cylinder Capacity. we are one of the leading supplier of oxygen & nitrogen gas plant, we offer quality product at competitve price. - KIGL plants incorporate design features which enable KIGL plantsto produce high quality nitrogen gas simultaneously with oxygen gas production. This results in higher economical viability. We are a top notch supplier of Oxygen Nitrogen Gas Plant. Higgson is a turnkey supplier of industrial air and gas requirement. 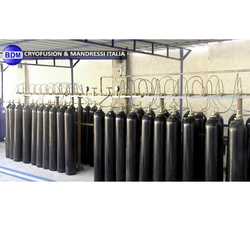 - Best utilizing our resources & facilities, our organization is successfully engaged in offering Cryogenic Oxygen Plant. - These plants are designed and manufactured using optimum grade raw material with utmost precision by our experienced engineers, in adherence with the industry set quality parameters. - Our plants incorporate design features, which enable them to produce high quality Nitrogen gas simultaneously with Oxygen gas production. This results in higher economical viability. Universal Boschi in collaboration with an internationally acclaimed Italian company - ING. L. & A. BOSCHI of Italy designs, manufactures, supplies and installs cryogenic oxygen nitrogen plants that produce highly pure oxygen and nitrogen. 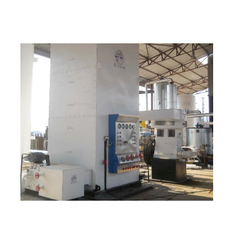 We are engaged in offering Oxygen & Nitrogen Gas Plants. J & K Engineering Co.
We Shanti Industries manufacturer of oxygen gas plant machines and all types of Spare parts. With the help of our professional vendor’s team, we are capable to offer a quality assured range of Air, Nitrogen and Oxygen Generator Plants. An air separation plant separates atmospheric air into its primary components, typically nitrogen and oxygen, and sometimes also argon and other rare inert gases. We are engaged in offering Oxygen & Nitrogen Plants. Our company has been successful in winning appreciation from the clients as one of the most prominent names in the trading of Liquid Oxygen Nitrogen Plants.